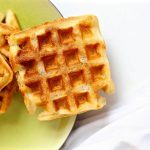 Light and crispy vegan yeasted waffles that use just one bowl and make the best Sunday morning breakfast you’ll ever taste. These go by many names, raised, yeasted and overnight vegan waffles. No matter what you call them they are amazing! 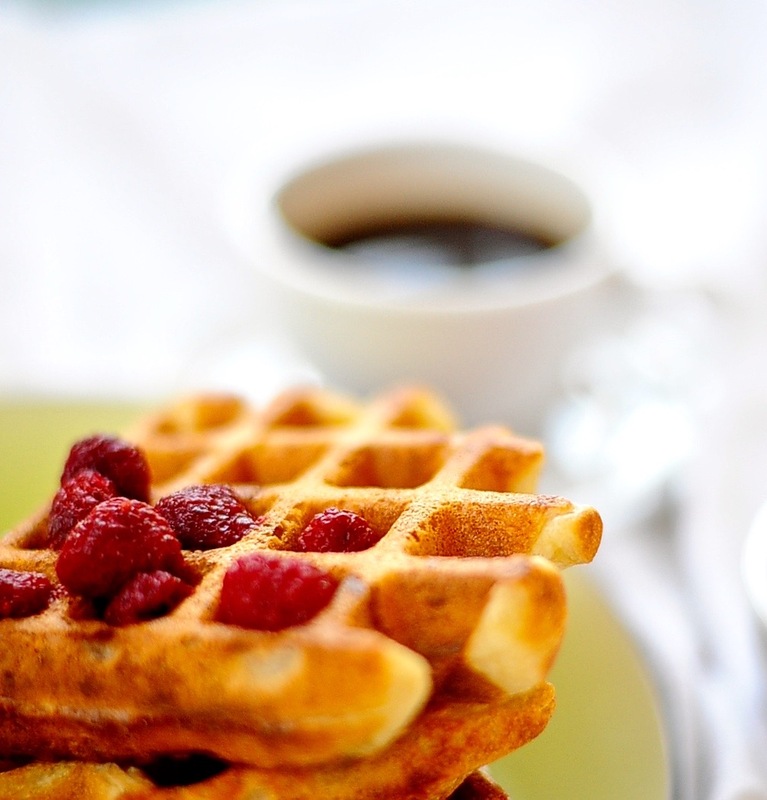 Most waffles rely baking powder and the quick chemical reaction that ensues. Those waffles are sometimes heavy and often too sweet for my taste. Then there are raised waffles made with yeast that have tang, crispness and are impossibly light. Last summer I pulled out my trusty Fanny Farmer cookbook and began experimenting with vegan-izing Marion Cunningham’s recipe for yeasted waffles. The raised vegan waffles I came up with, after trial and error, are crisp, golden and lighter than air. Aquafaba turned out to be the key. Seriously these are as magical as the ones I remember. Do I really need to make them the night before? Nope! They will taste amazing if you let the batter rest for an hour. I love mixing up a batch of these on a Sunday night. It only takes 8 minutes and knowing that in the morning I can throw together an amazing breakfast with little trouble. A late summer breeze drifted lazily through the bathroom window as my 4 year old niece and I conversed where girls converse best. I gathered tendrils of humidity damp hair from my neck and pinned them into a bun while Zoe stared intently into the mirror copying my gestures with her pudgy little hands. 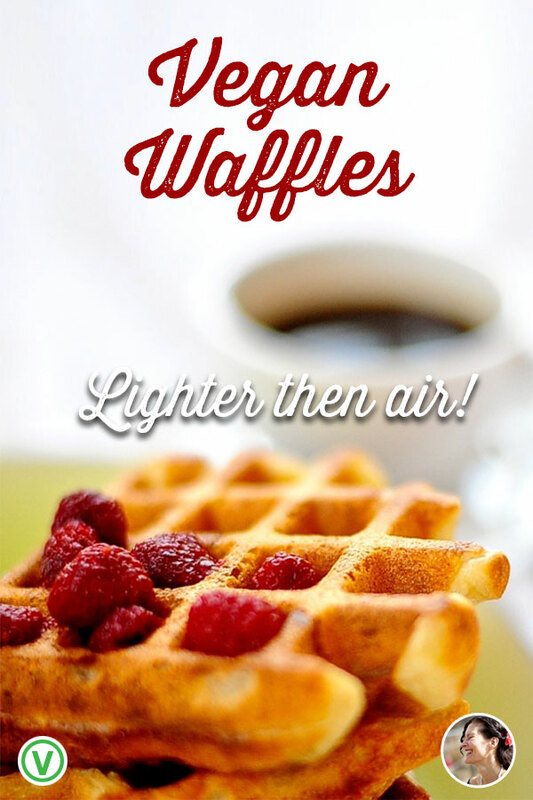 Crisp beyond belief, airy and light, these waffles are the whole package. 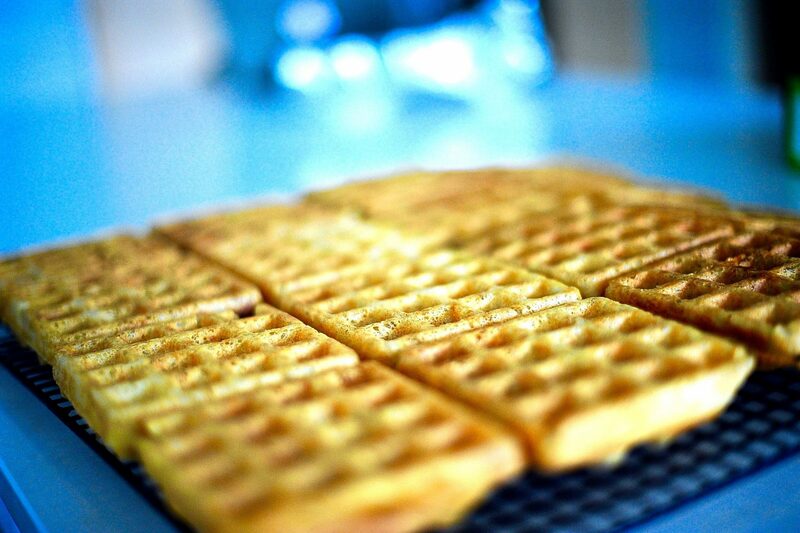 You can make them the night before and let the batter have a long slow rise (for extra flavor) or allow only a 1 hour rise and still have incredible golden waffles. These freeze a dream and the recipe can be easily double or even tripled. Whisk in the rest of the wet ingredients except for the aquafaba. Your aquafaba should be thick. Reduce aquafaba from a can by about 25% to get the correct viscosity. Once the wet ingredients are incorporated whisk in the flour, sugar and salt. You will have a very runny batter. Cover and leave in a warm place for 1 hour. If you are letting it rise over night then place it in the fridge after it has risen for one hour. If you are making waffles the same day then leave the batter out. The next day remove the batter from the fridge and allow to come to room temperature about an hour. Instructions for finishing the batter whether you are making the same day or have waited overnight. Reduce aquafaba from a can by about 25% to get the correct viscosity. Whisk the aquafaba until frothy (about 3-4 minutes) and stir it gently into the batter. Sift the baking soda over the top of the batter and mix gently but thoroughly. Cook according to your Waffle irons instructions. I use 1/2 cup of batter in each square of my iron. The recipe makes 2 1/2 batches or 10 individual waffles. I find these are best when cooked till dark golden brown. Freeze any extras and reheat them in the oven. I have to say, I tried this recipe myself as well as had what Johanne made and I have to say, beware. It is a withdrawal-symptom inducing substance. I find myself gazing with despair at the last bite not knowing exactly how I managed to put away four waffles without even noticing. Every bite – a delight. You are the best recipe tester I’ve ever had. You challenge the way I write the actual instructions and help me see from the perspective of the novice cook. Thank you! 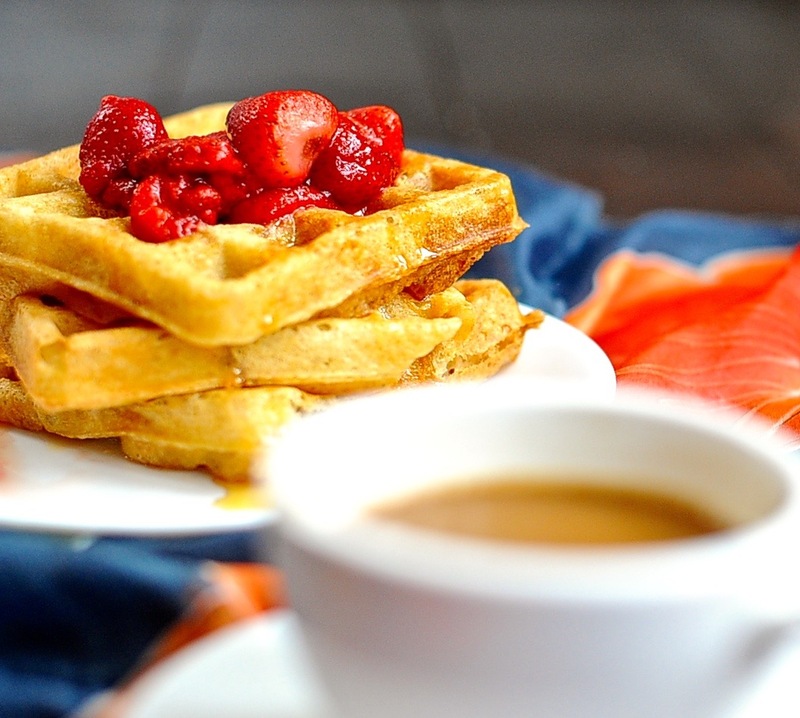 These waffles sound incredible! I’ve never made them with dry yeast before. I’ve gotta try them. Beautiful website! Thank you that means a lot.The waffles are not sweet just light and crispy. This is such a cute story about my baby girl. She’s always been good at telling us exactly what she needs to hear from us. For example, we have a bedtime tradition of telling one another our daily high points and low points. But there have been times when I’ve been so tired after a long day that my mind goes blank and I can’t readily come up with the best and worst events of my day. 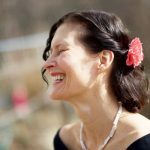 I’ll sit on the edge of her bed trying to focus my thoughts, saying, “Uh, uh, let’s see, ummm, my high point was, umm…” while she’s looking up at me expectantly. When she was little, if I didn’t dredge something up fairly quickly, she’d prompt me. It went something like this: “Your high point was seeing that painting I made for you at school, right?” “Yes! Exactly! What a cool painting! That was indeed my high point”, I’d say. She’d smile, gratified. Then she’d say, “And your low point was when you heard about how those kids teased me on the way home and made me cry.” “Yes, it was! That was such a low point for me, when you told me that! It made me so sad!”, I’d confirm. She’d be gratified by that too, and was then happy to say goodnight and go to sleep. We still do high points – low points every night but she’s too old to fill in the blanks for me like she used to, and I miss it. 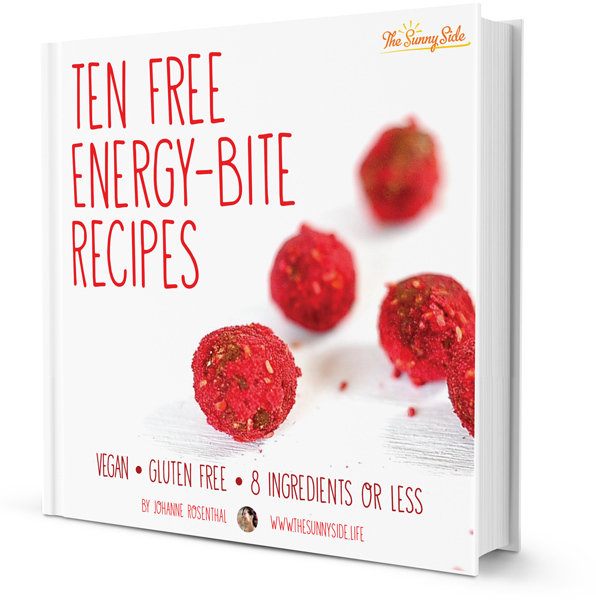 By the way, I made the Golden Energy Bites in your Ten Free Energy-Bite Recipes e-book (which I advise everyone to get). We ate them while at the cinema (“Romeo + Juliet”). Not only were they delicious and conveniently bite-sized, they didn’t crunch and disturb the other movie-goers. Golden Energy Bites – the socially considerate cinema snack! You have raised a girl who will bob like a cork on the seas of life. That game you play with her. High points. Low points. What a wonderful way to end the day. Can we play it the next time we see each other? In the garden in the mornings with tea? Or perhaps it will be at Tassos on those squishy chairs. All those Peter Pan references were from a sentimental auntie who knows her little niece is entering a new phase. Spot-on Peter Pan references for someone whose wings are getting knocked off, as they do at this age. Yes, we will do high point-low point together. Remember the time Megan ate 7 of them in one sitting? I hope to break that record. 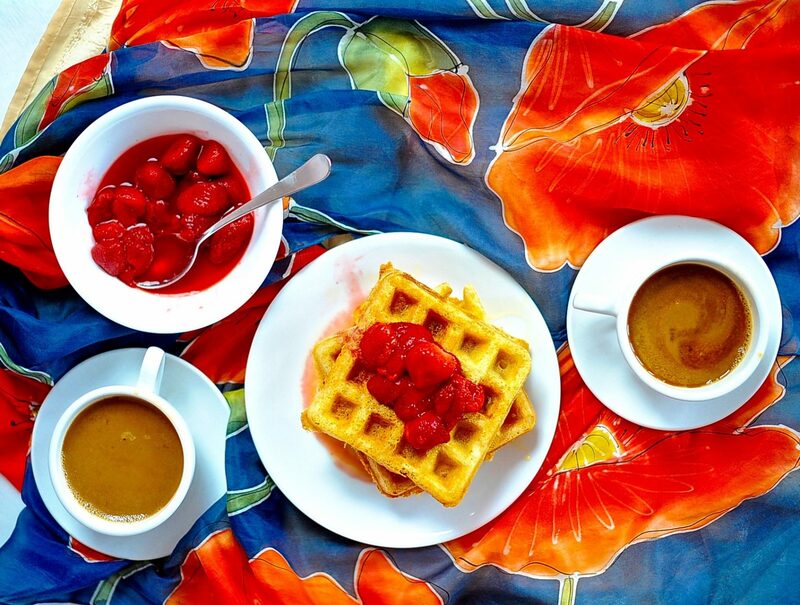 A waffle off? 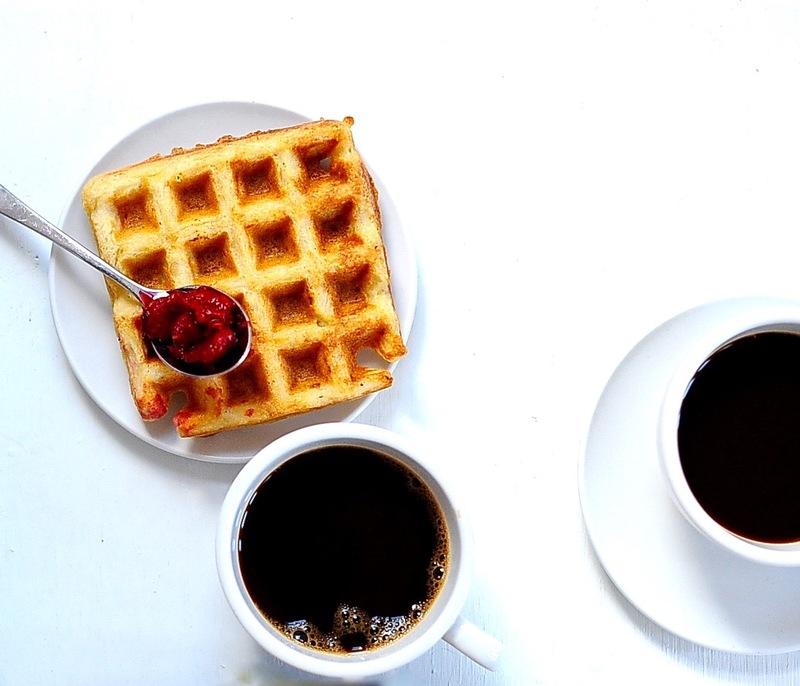 Are you calling a waffle off? Hi. Thank you so mych for this recipe. I just didn’t use yeast, but i used wheat sourdough “Leviticus Madre”. So, waffles was so tasty! Great idea! I will try that next time. I always have a bucket of sour dough dough in the fridge.